FC Barcelona has signed a record-breaking shirt sponsorship deal with Japanese company Rakuten in a 4-year deal worth around £188 million that is £47m ($58m) a year that is second only to Manchester United’s record £53 million a year deal with american car manufacturer Chevrolet. Barcelona signed a lucrative shirt sponsorship deal with Japanese online retailer “Rakuten” which is second only to Manchester United and Chevrolet deal. 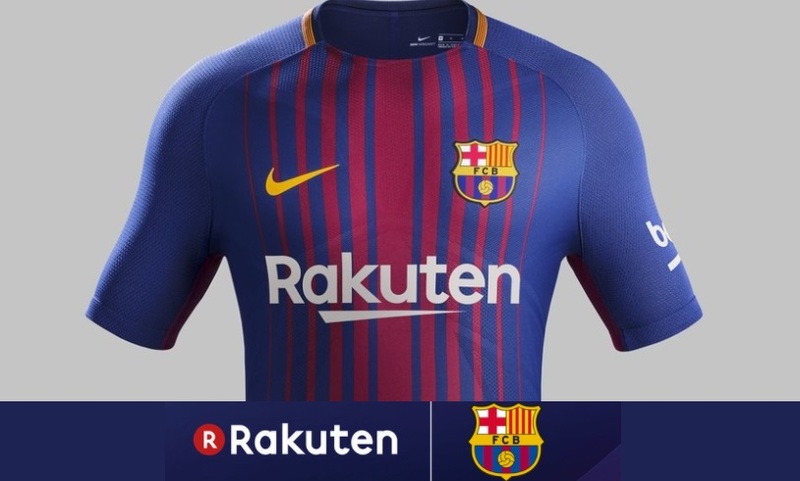 Rakuten is the largest online retailer in native Japan and they looking to expand their business world wide and what better way to put their name on front of the most successful team in recent european football history. Barcelona will be getting £47 million a year with current deal which runs for next four years and an option to extend to fifth year. With this deal, Barcelona are well on their way to be the financial powerhouse in Europe as they have already negotiated a record breaking kit suppliers deal with Nike and the new Barcelona-Nike 10 year deal starts from 2018 which is worth a massive £100 million a year plus bonuses and merchandise sale share. So by 2018-19 season, Barcelona will be getting around £147 million a year guaranteed just from their shirt sponsorship deal with Rakuten & Kit suppliers deal with Nike. That put them in the league of their own until Real Madrid negotiate their respective deals in the coming year which is surely set to eclipse both Manchester United and Barcelona’s current contracts. If we look at the European football kit deals its so evident that Manchester United, Barcelona and Real Madrid are in the league of their as far as financial power is concerned. 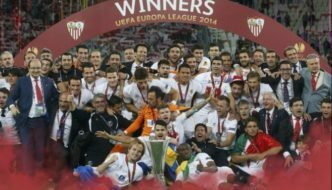 Teams like Chelsea, Bayern Munich and Paris Saint Germain will have to put together a decade of success to come anywhere near top three European teams. 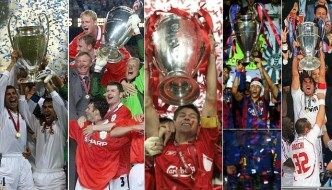 Barcelona the Latest club in this new Generation..we Hope next Team of year by collecting all major Trophies.. If this contract continues,then barcelona will be the most worthiest team for almost a decade. 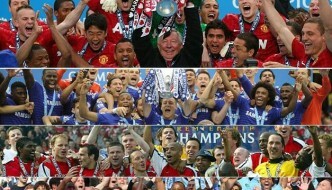 Many at times,people don’t understand the reason of bigger deal.Bravo Barca. It’s a very good deal. 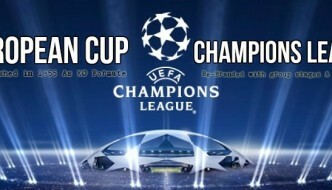 We hope Barcelona will get all trophy in this year. I love Barcelona all teams member.